I love acorn squash like looooovveee it. Nothing tastes more like nature’s candy to me than acorn squash. It is sweet and nutty and has comfort food written all over it. And when you have a bf that eats paleo, you have to get creative with your “comfort” foods. I don’t often share what I eat or post recipes and honestly it’s because I don’t know how to cook. 🙂 I find a cool recipe and pass it off to my boyfriend to try to make “paleo friendly.” (Which he is super good at!) So here we ventured down acorn squash lane and I must admit he did quite a great job turning it into a pretty darn good dish. After discovering this incredible food, I think I’ll be craving acorn squash again in the very near future. Place the acorn squash that has been cut in half open side down on a baking sheet. 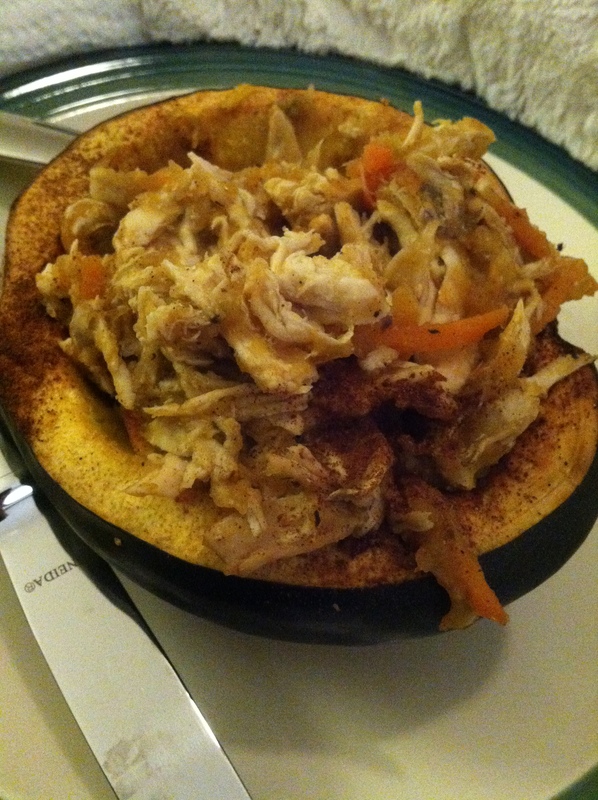 While acorn squash is baking, boil shredded chicken in a pot until cooked through. Let acorn squash slightly cool and scoop out seeds. 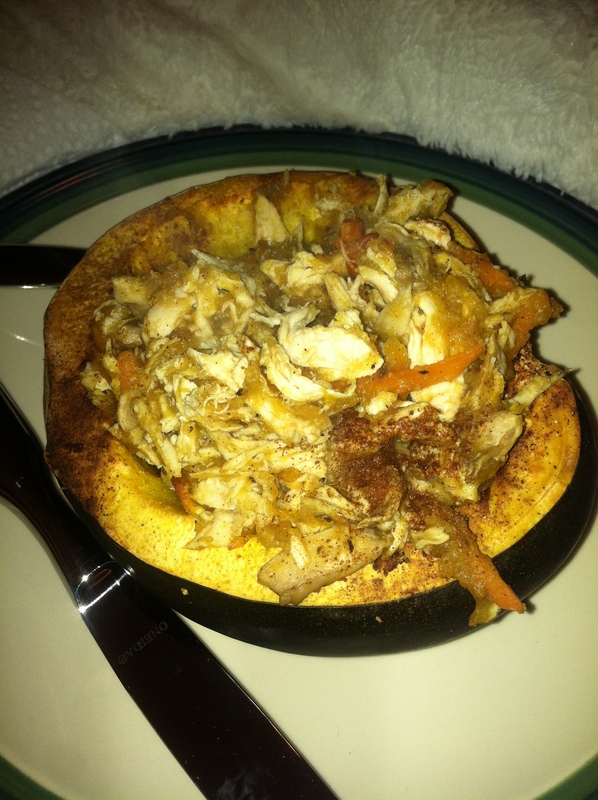 Then scoop out the some of the squash from the skin and place in the bowl with the cooked chicken, carrots, and mushrooms. Mix together and scoop back into the squash.